A huge thank you to all the lovely people who came to this event today. We were delighted to see you. Huge thanks to the Mayor and Mayoress of Lancaster for attending and to the Mayor for officially switching on the lights. The City Singers led us singing Christmas Carols and were amazing. Thank you so much. Thanks also to the Works Department for the lights and all the behind the scenes effort they went to. Thanks to the Catering Department for yummy mince pies, flap jack and warming mulled wine. Thanks to Ian Dewar for opening the event with lovely words and a prayer. A big thank you to Santa who travelled such a long way to be with us. We hope to make this an annual event. Let us know if you enjoyed it. 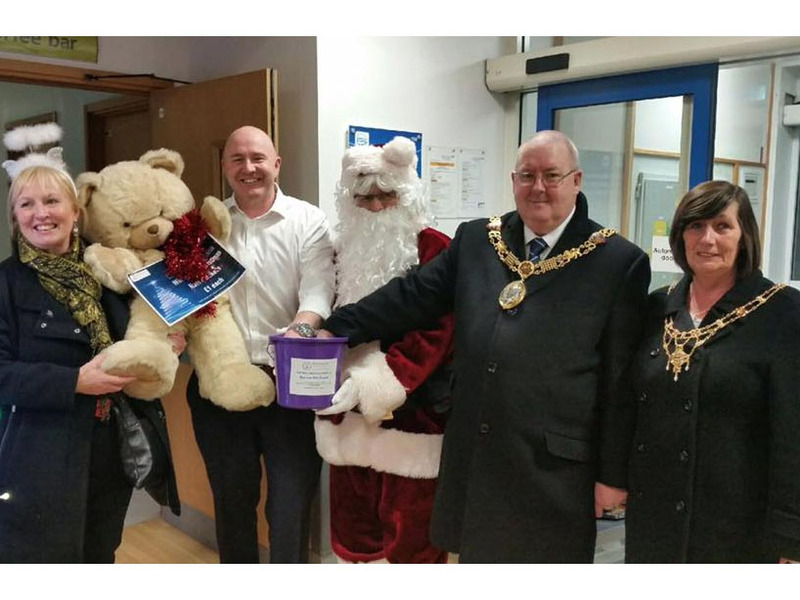 Winner of the giant teddy bear was Jo Sharpe.